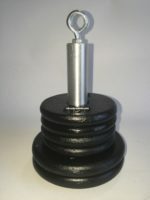 The adjustable Cable Weight Stand comes with a 6′ section of cable and works in conjunction with the ARBOR & PLATE WEIGHTS (sold separately)https://lghangerllc.com/product/plate-weight-arbor-with-weights-10lbs/ and is designed as an accessory to the LG Hanger Package “A” System (sold separately). Use it to hang while sitting in a variety of different positions. Relax in a chair, watch TV, no more standing! 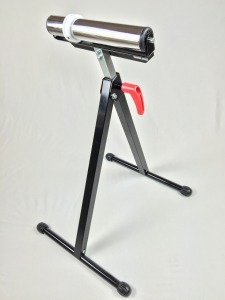 Our stand adjusts to from 26″-42″ in height.